A warship HMAS Warramunga of the Australian Naval Force carrying 180 crew members docked at Khanh Hoa province’s Cam Ranh International Port for a friendship visit on November 2. The warship HMAS Warramunga docked at Cam Ranh Port. Australian Naval Royal Colonel Dugald Clelland captained 25 officers and 155 sailors to begin the visit on November 2- 5. The visit targets further strengthening cooperation between the two countries’ naval forces, as well as tightening the friendship relations between Australia and Vietnam. 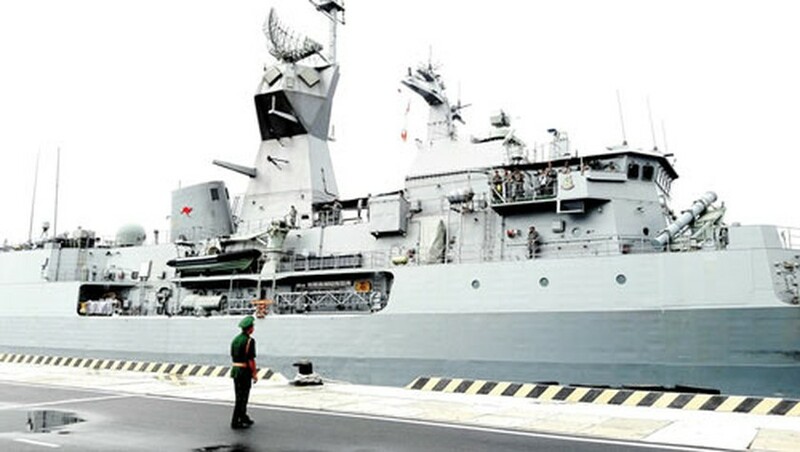 During the four days visit, the captain and crew members are scheduled to pay courtesy to the leaders of the Khanh Hoa People’s Committee and Commander of Naval Zone 4, and take part in sport activities with Vietnam’s naval soldiers. The HMAS Warramunga is an Anzac-class long-range frigate of the Royal Australian Navy ship with capacities of air defense, surface and undersea warfare, surveillance, reconnaissance and interdiction. In addition, it is equipped missile decoy system and parking area for helicopter.